Since November, I have been considering The Master Cleanse. After watching an episode of the Tyra Banks Show "The Tapeworm Diet," I was so totally grossed out seeing those long pesky worms. That show had the opposite effect, forget wanting to use tapeworms for dieting instead my goal suddenly was to rid my body , if I were to have any! Castor Oil - a strong laxative, with its major site of action the small intestine. Carrot Water / Juice - contain certain oils that work on the mucus membranes of the stomach and colon. This helps with digestion and starts your bowels functioning properly. Carrots are high in fiber and beta-carotene, an antioxidant, which the body converts to vitamin A. Carrots can make your stools softer and larger. So those were the end of my summer days .... And since that was over twenty plus years ago, in addition to a change from a Caribbean to a North American food diet, and don't forget, to numerous cups/glasses/shots of liquor later ... I am desperate for a cleanse. In 2006, who could forget Beyonce's 20 pound weight loss from The Master Cleanse Diet as she prepared for her role in the movie, DreamGirls? So although I would love to cleanse, with less than 36 days away from Trinidad Carnival 2K10 ... I welcome some weight loss too! So in my research I immediately found one woman's 10 day journal, The Master Cleanse: 10 Days to a Helathier, Leaner Detoxified Body: Journal # 1 . 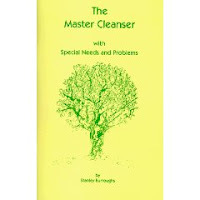 It was so intriguing that I felt that I am ready to do this cleanse! So today, when my girl Brooke Bailey stated on Facebook, "Day 9 of my Master cleanse. I feel great, especially after my workout today!!! Mind over Matter!!!" Again, I was triggered and asked "how was it really?" ... she admitted, "It's really hard. But, it's so worth it!!" Master Cleanse ... here I come! You read my mind with this post. I, too, am going to try the Master Cleanse. I hope I could get past Day 1. Good luck to you & wish me luck girl.